Sedimentary rocks are those which are formed by the deposition and lithification of sediments. These are divided into three basic types. 1) clastic sedimentary rocks are those derived from mechanical weathering such as shale, sandstone, breccia and conglomerate. 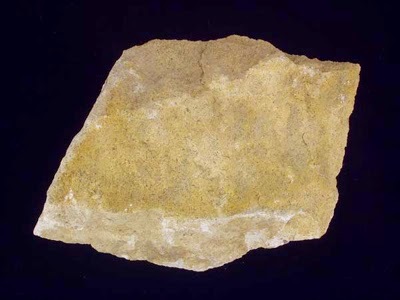 2) sedimentary rocks derived from precipitation of a solution such as salts and limestone dissolved in water. 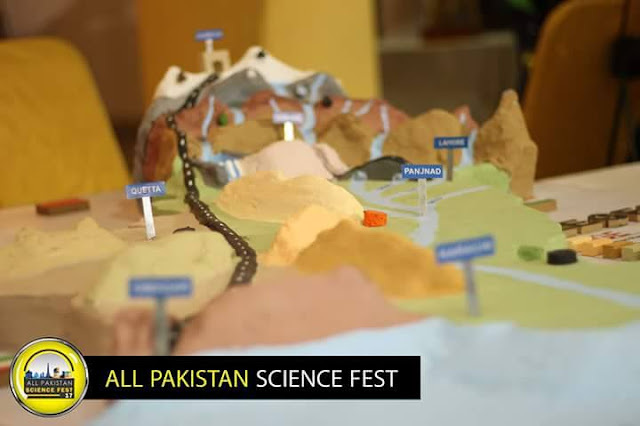 3) rocks derived from plants and animals such as coal and some limestone derived from animal shells. 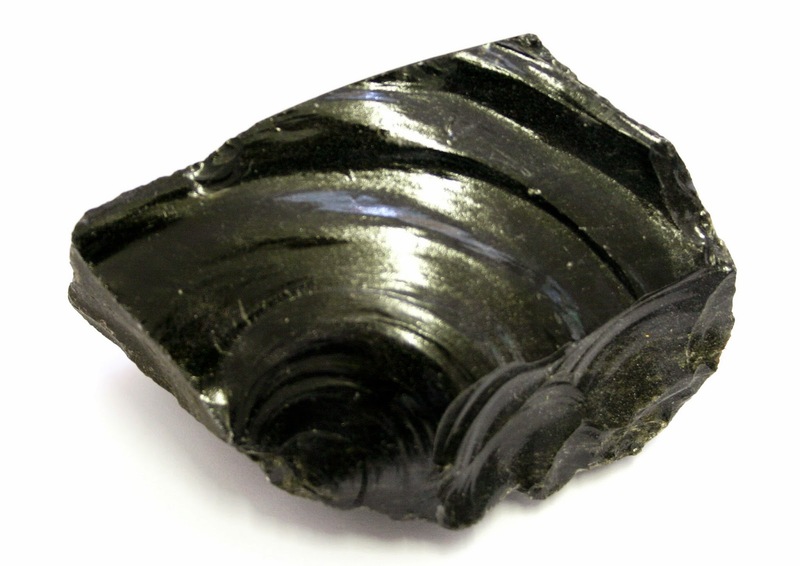 Shale is derived from finer sediments, clay size 1/256 millimetre. It breaks in thin flat pieces. 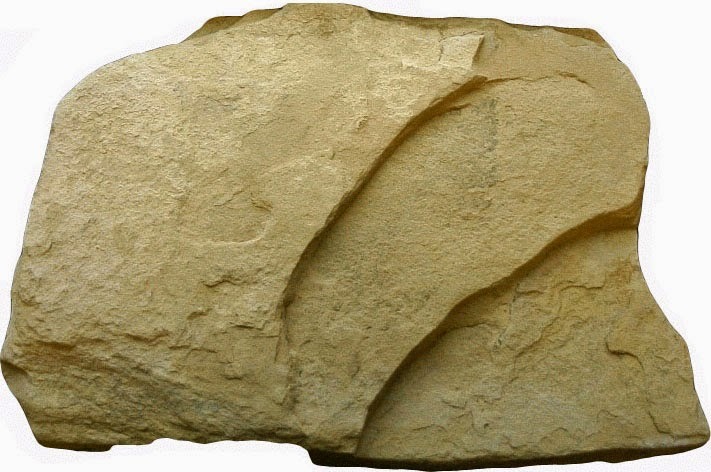 Sandstone is made up of sand size particles, 1/16 to 2 millimetre. It is made in environments where sand accumulates. 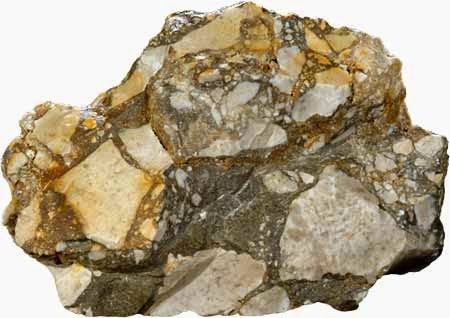 Breccia is a sedimentary rock composed of particles over 2 millimetre size and fragments is angular. The spaces in between the particles are filled with matrix of finer sediments. 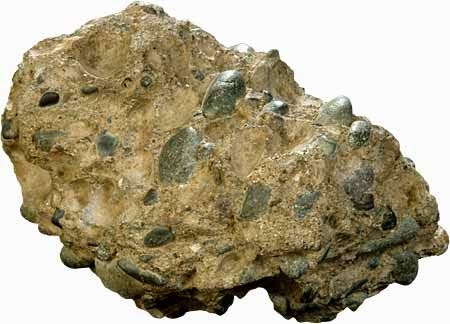 Conglomerate is made up of particles which are round and greater than 2 millimetre size. The spaces in between are filled with finer particles and sometimes filled by cement material that binds it. Salt is a sedimentary rock which is derived by the evaporation of ocean water or saline lake. It is also called as halite mineral. 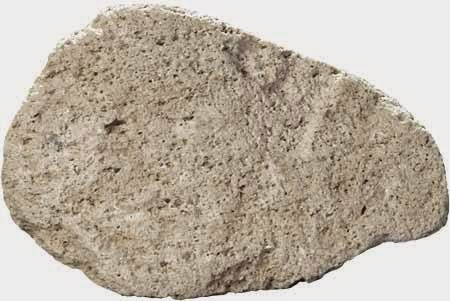 Limestone is a sedimentary rock which is produced by both chemically dissolved calcium carbonate precipitation and from the accumulation of organic shells. 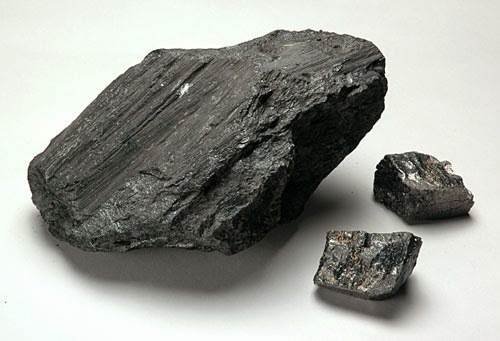 Coal is a sedimentary rock that is made up of plant remains deposited at depth. 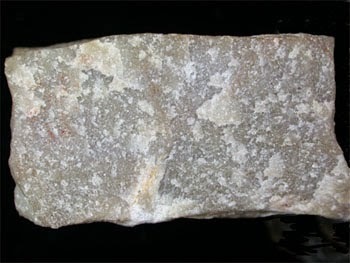 Dolomite is a sedimentary rock which is also called as dolostone or dolomite rock. 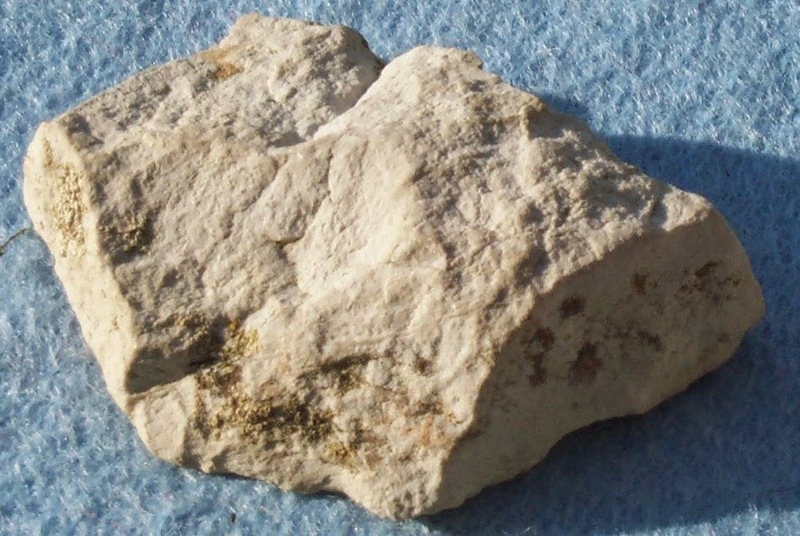 Dolomite is formed from limestone which is deposited in a magnesium rich groundwater. Siltstone is a sedimentary rock which is made up of sediments size between 1/256 and 1/16 millimetre. 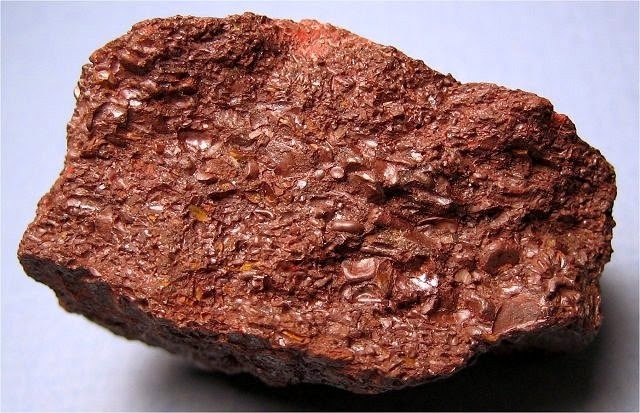 Iron ore is a chemical sedimentary rock which is made when iron and oxygen combines in a solution and deposits. 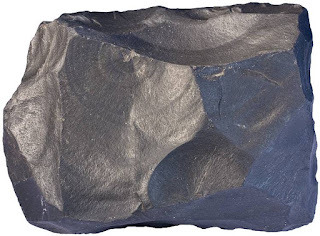 Hematite is an example of iron ore.
Intrusive like diorite, gabbro, granite, pegmatite which solidifies in the subsurface and extrusive igneous rocks like andesite, basalt, obsidian, pumice, rhyolite and scoria which solidifies on the surface. 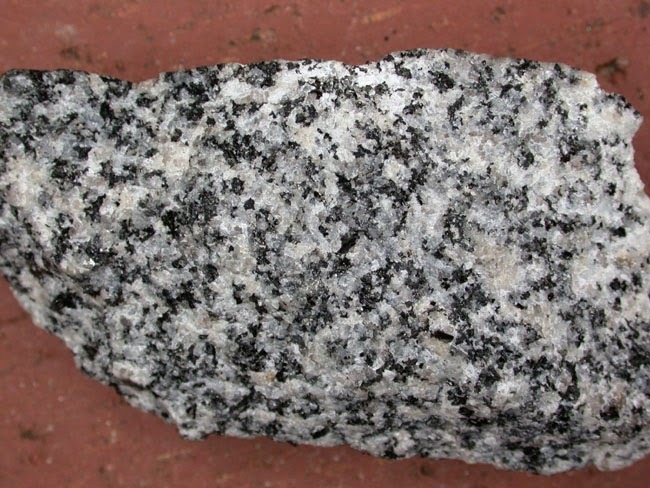 Diorite is an intrusive igneous rock which is coarse grained. 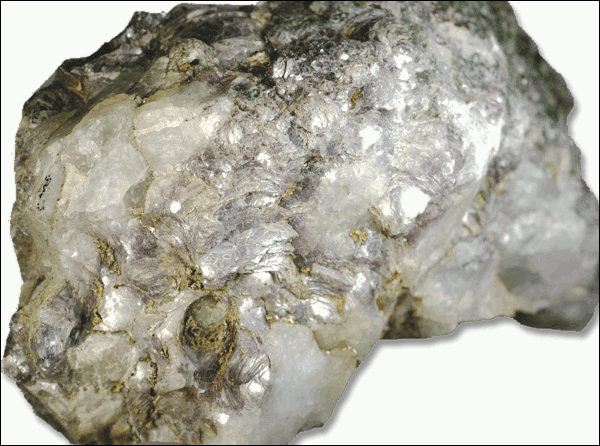 Its mineral composition is pyroxene, feldspar, hornblende and quartz sometimes. 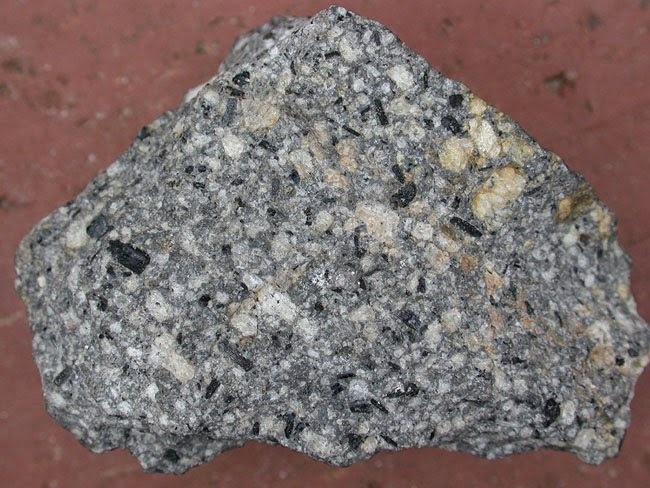 Gabbro is an intrusive rock with coarse grain and dark colour. 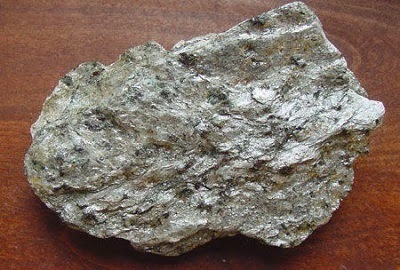 The chemical composition is feldspar augite and sometimes olivine. Dunite is an intrusive igneous rock of ultramafic composition, it is coarse grained. 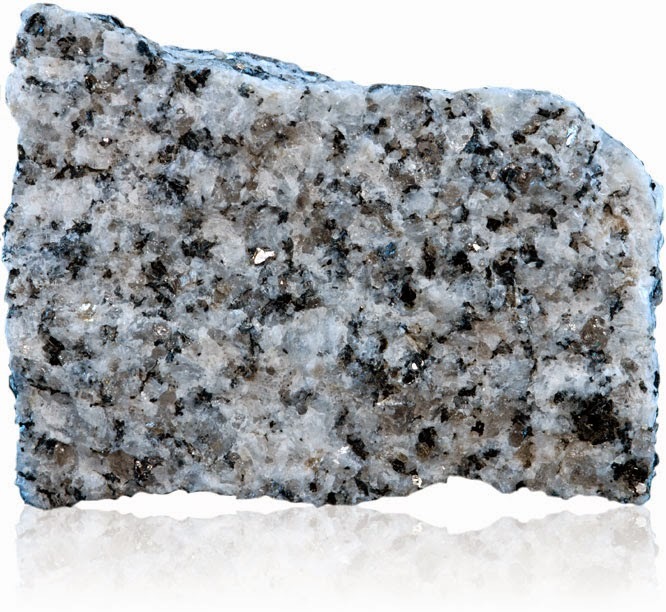 Granite is intrusive igneous rock with light colour and coarse grained. 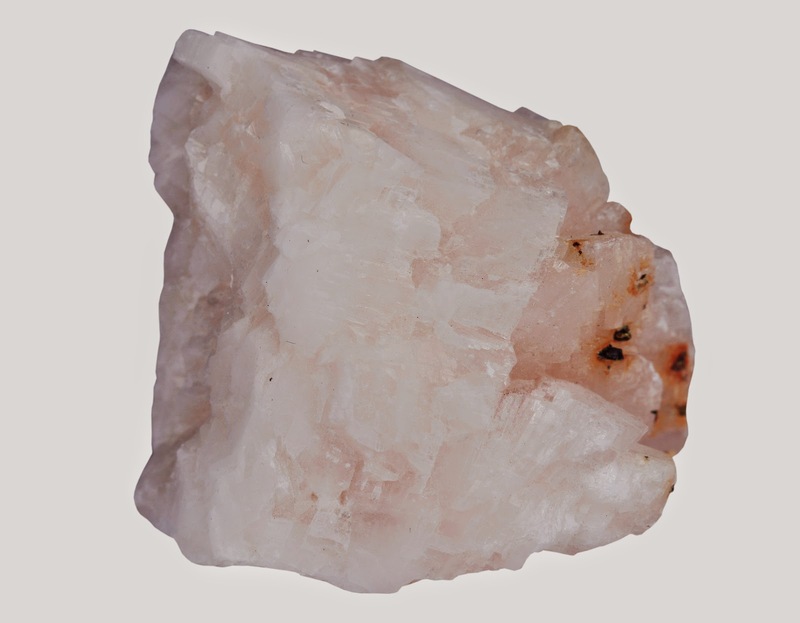 It contains minerals mainly quartz and feldspar. Pegmatite is a light colour extremely coarse grained intrusive igneous rock that are formed near margins of the magma chamber. It is formed at the final stages of magma chamber crystallization. 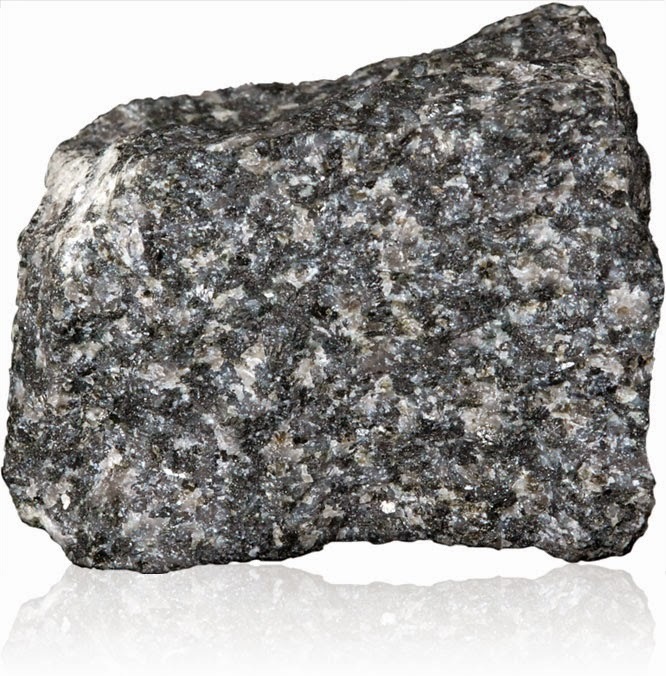 Andesite is a extrusive igneous rock that is fine grained and composed mainly of plagioclase with hornblende, pyroxene and biotite. 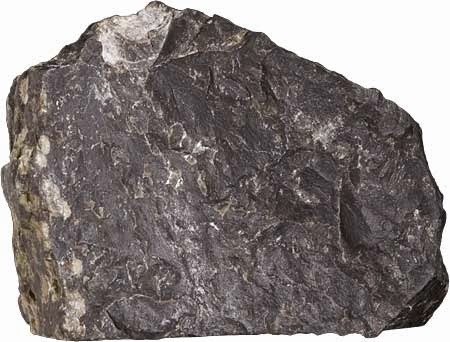 Basalt is a dark colour extrusive rock consists of plagioclase and pyroxene. 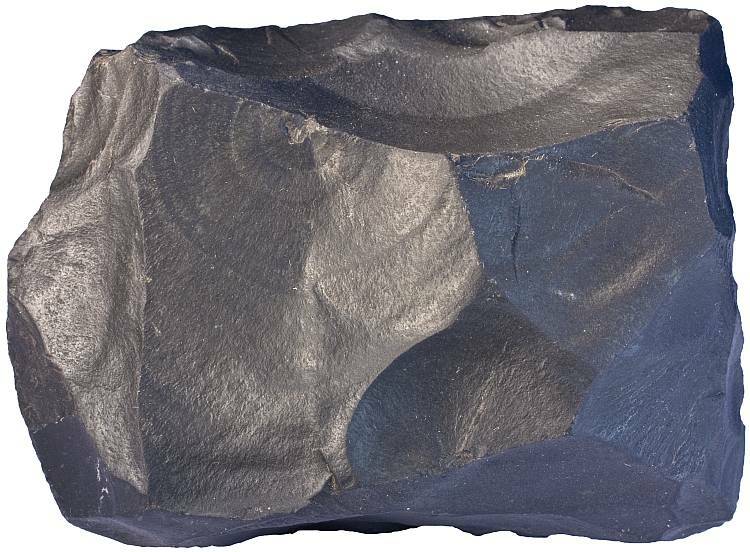 Obsidian is a volcanic glass that is made from the solidification of molten rocks which cools rapidly so that crystals are not formed. 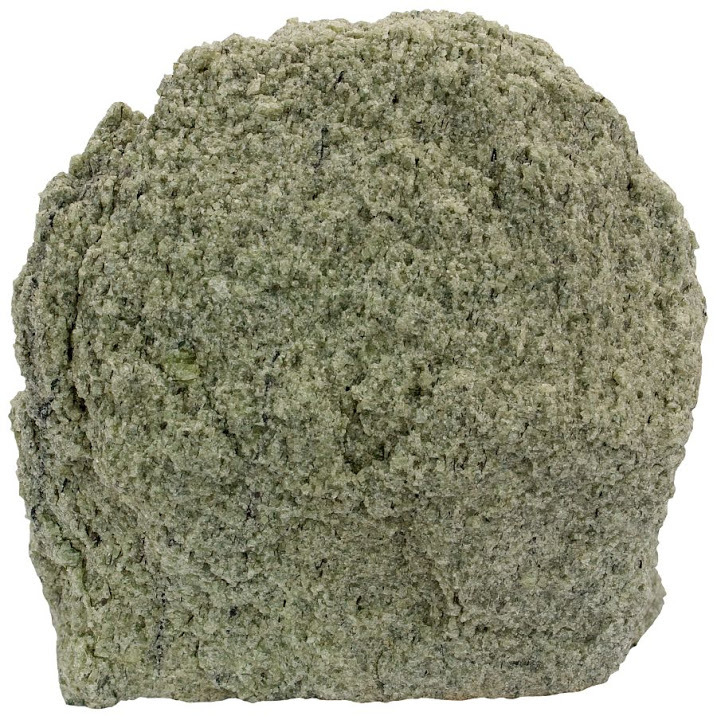 Pumice is a light colour vesicular rock that is formed by the rapid cooling of a melt where vesicles are formed by the gas trapped. Rhyolite is extrusive igneous rock with fine grains and light colour. It contains mainly quartz and feldspar mineral. 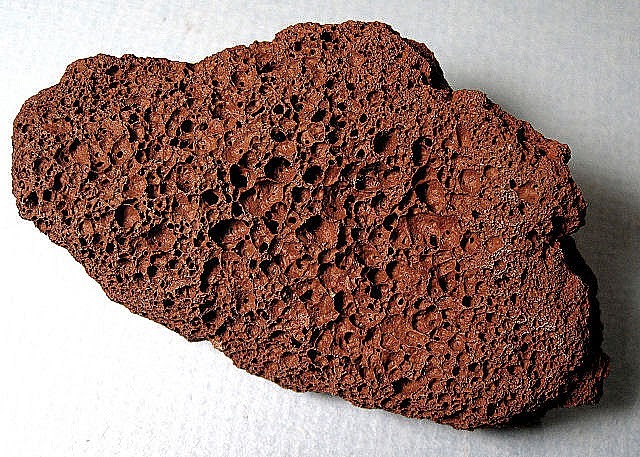 Scoria is a dark colour vesicular extrusive igneous rock where vesicles are result of gases trapped. Metamorphic rocks are those modified by heat, pressure and chemical process buried deep in the subsurface. These have been classified as 1) foliated metamorphic rocks such as gneiss, schist, phyllite and slate which have layers or bands. 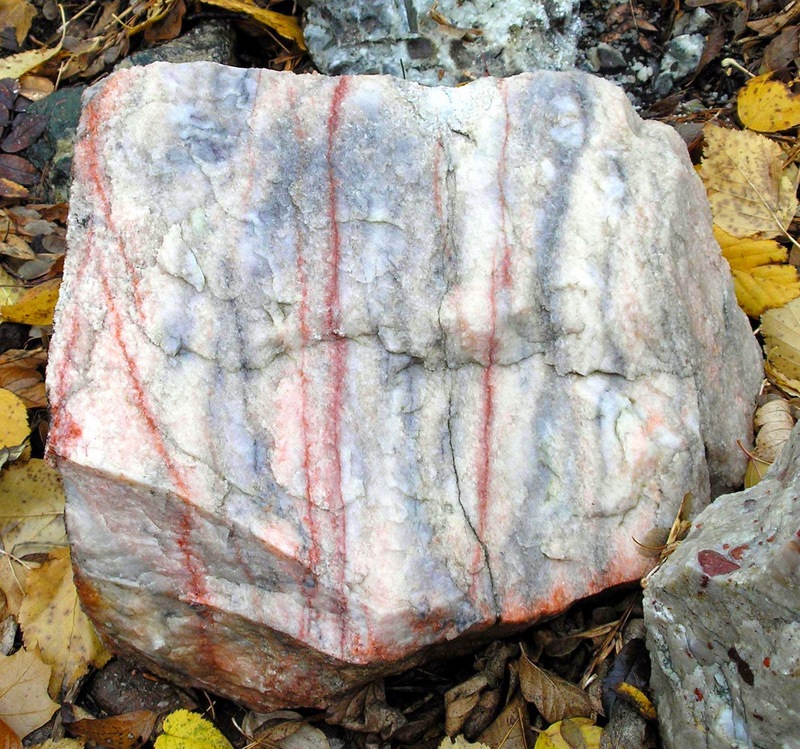 2) non-foliated metamorphic rocks such as marble, amphibolite, hornfels and quartzite and do not have layers or bands. 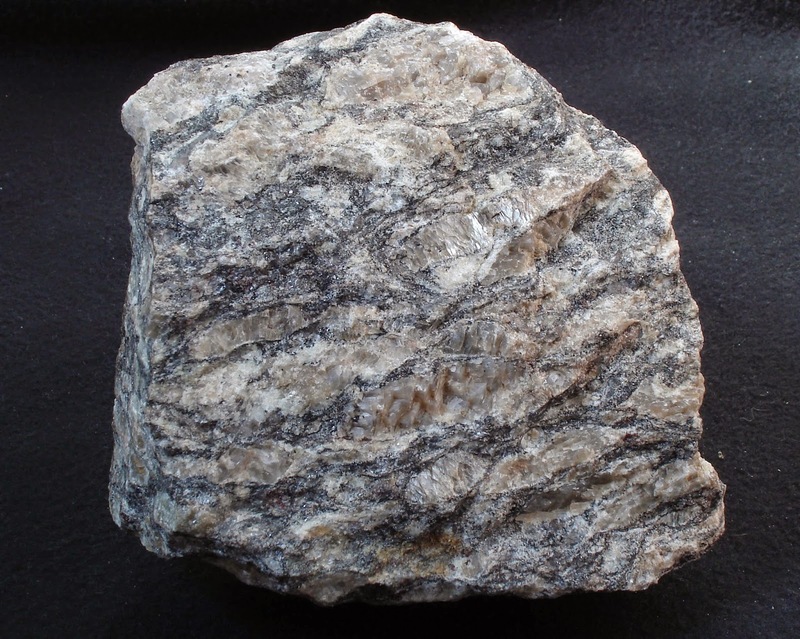 Gneiss is a foliated metamorphic rock that has bands of light and dark colour. 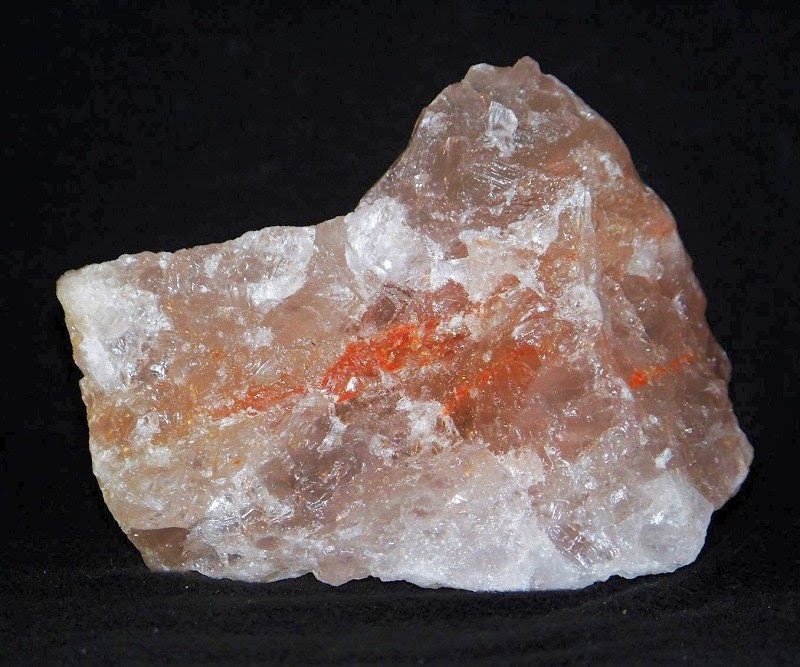 It is made up of granular mineral grains and contains abundant quartz and feldspar minerals. Phyllite is a foliated metamorphic rock that is made up of fine grained mica. 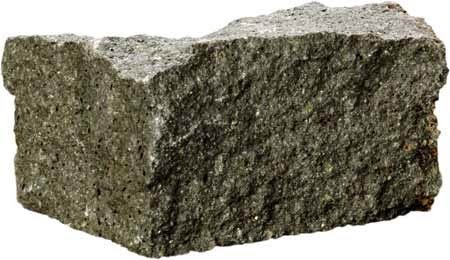 It is intermediate grade between slate and schist. Schist is a metamorphic rock with developed foliation and contains significant amount of mica which allows rock to split in thin pieces. 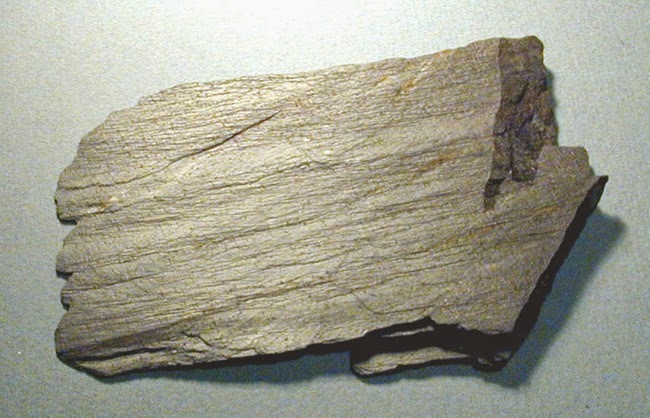 Slate is a low grade metamorphic shale which parts into thin pieces. Marble is a non-foliated metamorphic rock which is produced by metamorphism of limestone. 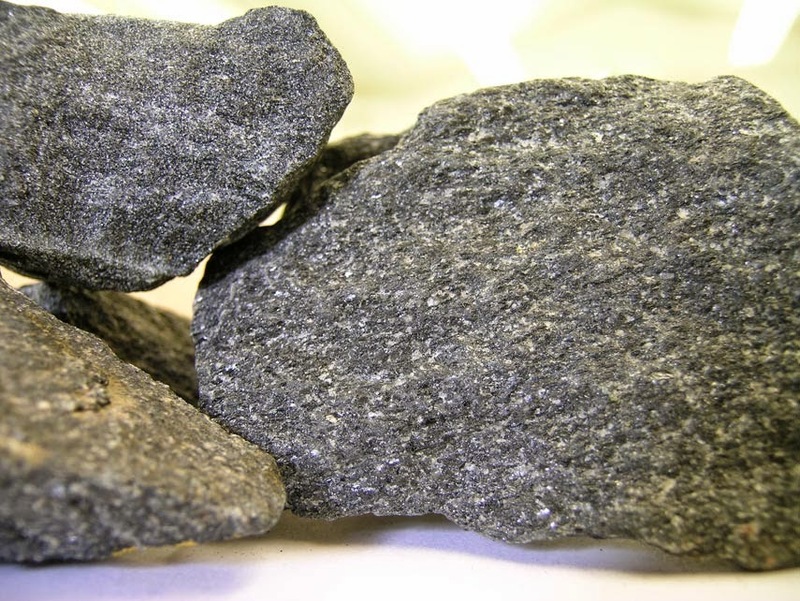 Amphibolite is a non-foliated metamorphic rock forms through recrystallization under conditions of high viscosity and directed pressure. It is composed of amphibole and plagioclase with minor quartz. 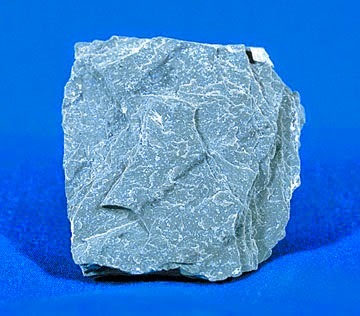 Hornfels is a fine grained non-foliated metamorphic rock with no specific composition produced by contact metamorphism. Quartzite is a non-foliated metamorphic rock produced by metamorphism of quartz.